The Empire strikes back in this sequel to the endearing Star Wars game made all of LEGOs. 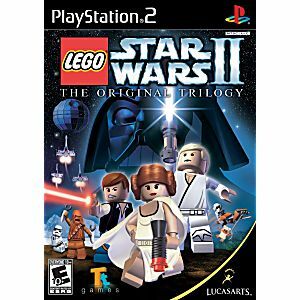 LEGO Star Wars II follows the Rebel Alliance's battle to dismantle the Galactic Empire and rebuild a galaxy in pieces. From Darth Vader's pursuit of Princess Leia aboard her blockade runner to a showdown on the reconstructed Death Star the game includes even more of the family-friendly LEGO action. For the first time ever, characters can get in and out of vehicles, as well as ride creatures. Because it's LEGO style, you can also mix and match the body parts of more than 50 playable characters to create one of millions of possible LEGO Star Wars heroes. Great Game ! Very fun to play ! Perfect to game with your kids or best friend. Better with 2 players for sure. I have this game in both PS2 and Wii. It's more fun on the Wii bc you actually can swing around the light saber but this game is lighthearted and very fun for all ages and features story lines and characters from A New Hope, Empire Strikes Back, and Return of the Jedi. GREAT GAME LOTS OF ACTION AND THRILLS. Will use Lukie games again. Great game! my 9 year old & 5 year old love this game! It is fun for them to play the characters they love in star wars. It works great as well. My five years old kid love lego games specially Batman & star wars. First time customer. good service. Its a great game if you like legos and Star Wars! I have never gotten a game from Lukie Games that did not meet the expectations...this is a great game and the 5 year old great grandson loves it and is playing it like he's done this forever so it is number 1 in our book..thanks so much..for a great product and service and price.. 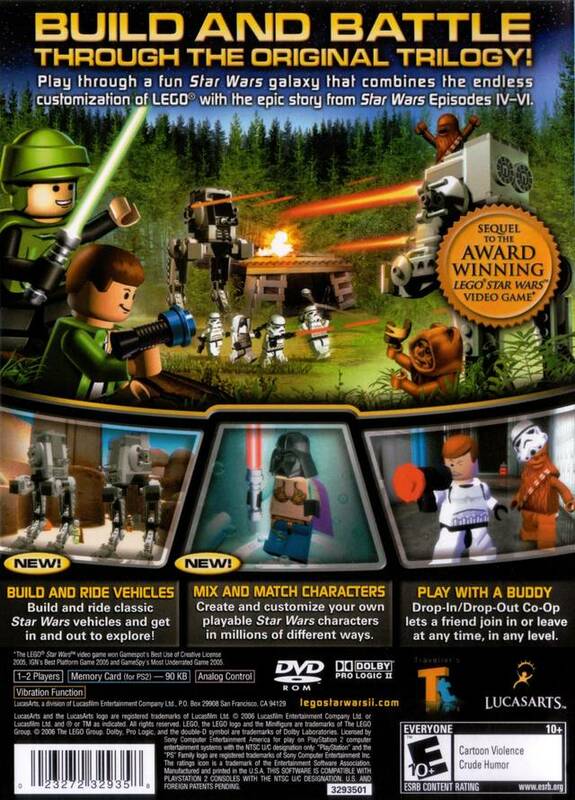 The game captures both the fun of Lego and the action of Star Wars. Controls are kid friendly to my 5 year old. Well worth the purchase. 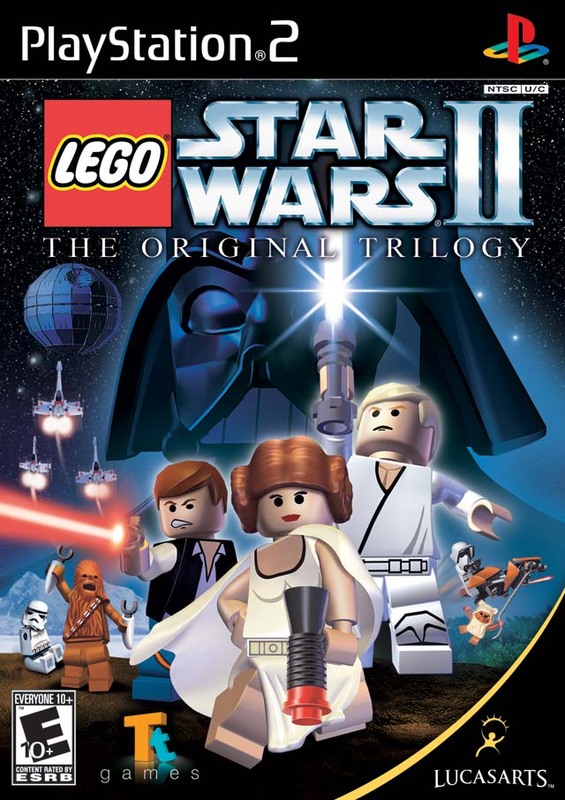 A great game and probably the best Lego video game ever made. Along with the other Star Wars Lego game of course. Although, there is only one problem with this game. Sometimes the gameplay for second player is very boring and feels like its thrown in just because. So if you want a fun multiplayer experience I recommend Lego Star Wars: The Video Game.